A couple of months ago, I watched and reviewed 48 Hours, the original Eddie Murphy vehicle and his first feature film, which helped rocket him into stardom outside of his SNL fame. It didn't survive well, as it’s a tired, clichéd action-comedy that represents most of what was wrong with 80s cinema. 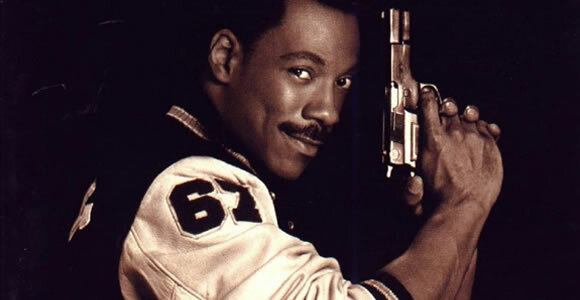 Beverly Hills Cop is in a similar genre but is a far superior film, which, unlike 48 Hours, still generates laughter and arguably shows Eddie Murphy at his absolute best. Opening up in Detroit, we first see Axel Foley fast-talking his way through an undercover cigarette smuggling deal, which ends with a raucous chase between an 18-wheeler truck and the entire Detroit Police Force with Axel being thrown around the back cab. It’s a fantastic action scene set to the fine 80s pop hit Neutron Dance by the Pointer Sisters. As is customary with the genre, Foley’s actions land him in hot water with his police chief, and he’s put on probation. This film, made by Paramount, then headed by Michael Eisner, was produced by Don Simpson/Jerry Bruckheimer, one of the master duos of 80s pop cinema. The trio of Beverly Hills Cop, Flashdance, and Top Gun make up three of the most recognizable pop culture landmarks in 80s cinema. Beverly Hills Cop is available on Blu-ray from Paramount Pictures Home Entertainment.